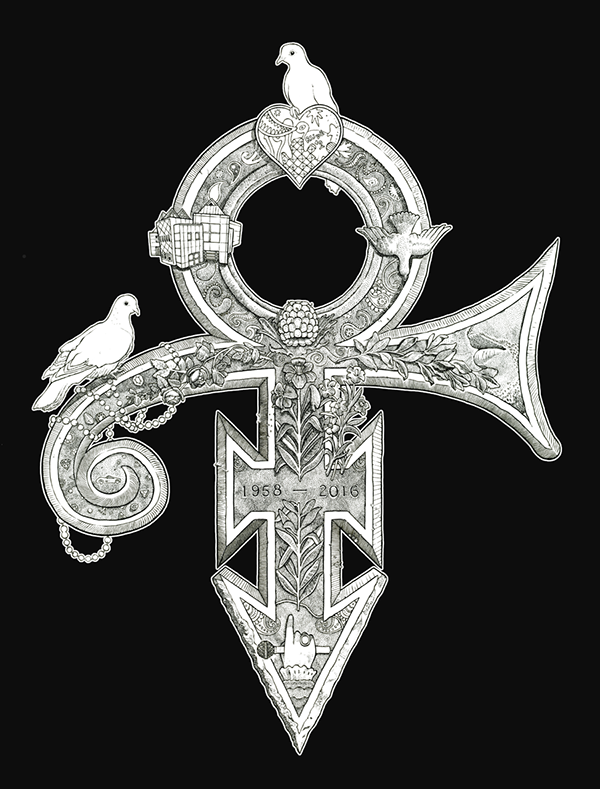 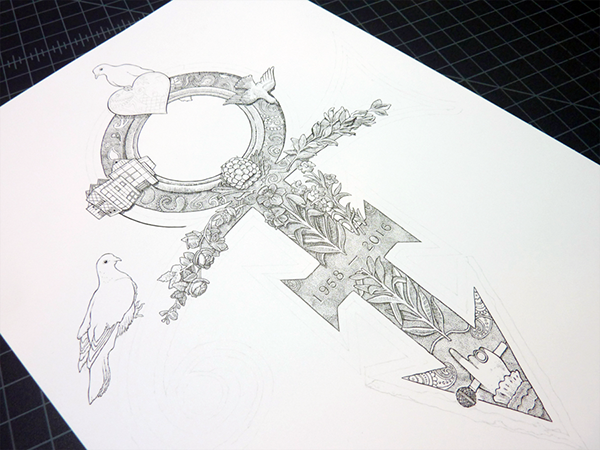 An illustration in commemoration of the late Prince Rogers Nelson. 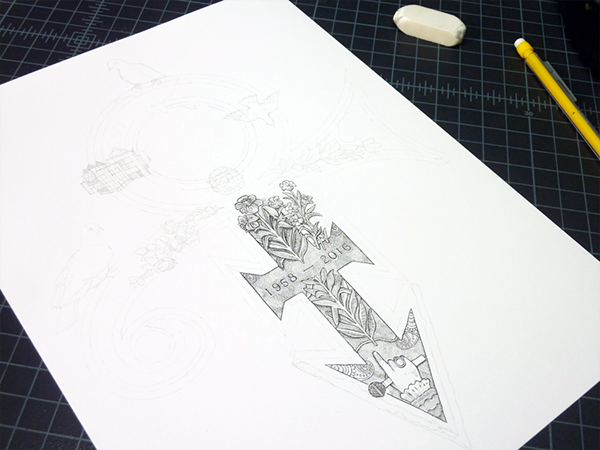 Step-by-step process photography of the penciling and inking. 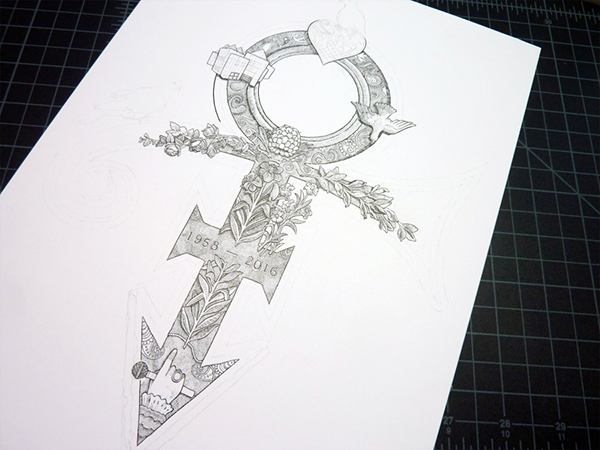 Pen and ink, 23.7 cm × 31.1 cm (9.5 ″ × 12.25 ″), 2016 An illustration in commemoration of the late Prince Rogers Nelson.